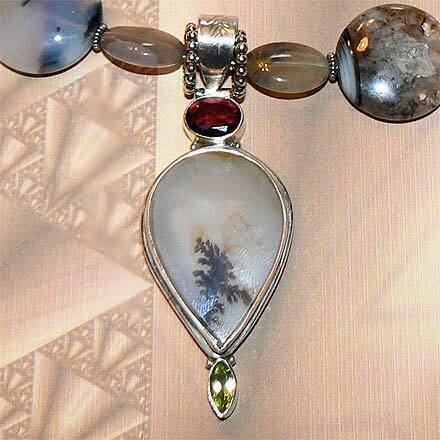 Sterling Silver Dendritic/Plume Agate, Garnet and Peridot Necklace. See Closeup. 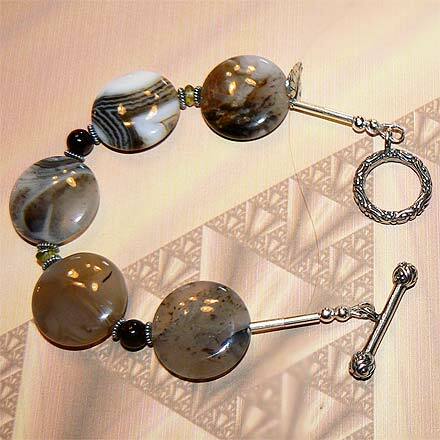 Sterling Silver Dendritic/Plume Agate, Garnet and Peridot Bracelet. 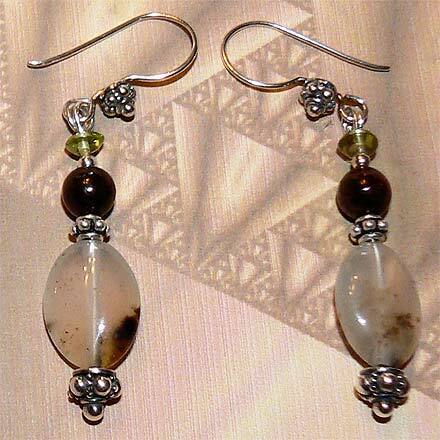 Sterling Silver Dendritic/Plume Agate, Garnet and Peridot Earrings. Dendritic Agate looks like it has little plants growing in it, but it is not organic...it is mangnese and iron oxides. If you've ever watched ice crystals form on a window, it takes on a crystline structure that looks very plantlike as well. 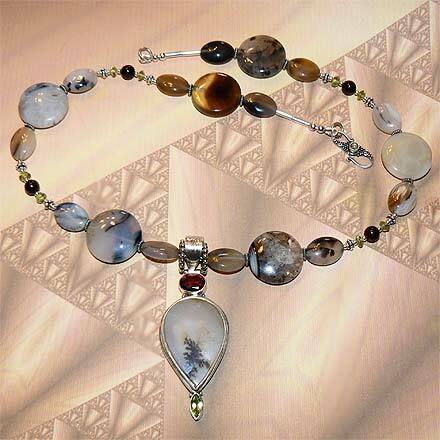 The main pendant stone is Plume Agate, a kind of dendritic agate, which also resembles feathers. For those who are interested in Astrological significances of stones, Agate corresponds with Capricorn and Gemini, Garnet corresponds with Capricorn and Aquarius and the month of January, and Peridot corresponds with Libra and with the month of August.